If you want to have a squeaky clean kitchen and keep germs out of it in the long run, make sure to take advantage of our kitchen cleaning service in Islington, N1. We are the real deal when it comes to deep cleaning the heart of your home. We know exactly where to look at for dirt and grime aside from the common areas. We also check upper shelves and hard-to-reach areas. We look under the sink. We are thorough and professional. We love obtaining maximum results. We will have you covered. Put your trust in us, you won’t regret it. Our appointment slots, schedule and cleaning are very flexible. We work in correspondence with your needs and schedule and do our best to give you what you need. Our kitchen cleaning service in Islington will mesmerise you. If you have been meaning to give your kitchen a good clean, consider getting in touch with our company. 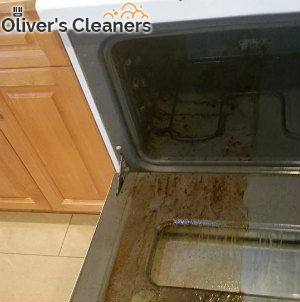 We assure you that our kitchen cleaning service in N1 is a great way to go. We provide all the means to get every place immaculate. No matter how much time it will take us to get the job done, we will give 100%. Always. We can set up a cleaning plan for any day of the week, be it on a workday or during the weekend. We comply with your schedule so that you don’t have to. Make sure to give us a heads up when it will be most suitable for you to have your kitchen cleaned by our trained technicians. We will take care of the rest. We can provide assistance for all aspects of residential cleaning. For more information about our company, contact our telephone operators and get your questions answered right away. We will be happy to help. We are looking forward to hearing from you.